Happy May, everyone! 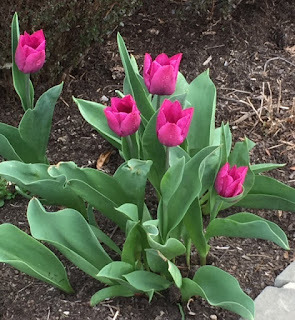 We hope you all had a great first day of May yesterday…or May Day for those who still celebrate it (kids in school don’t do anything for it now, but we always had outdoor fun/field days at school on May 1st). 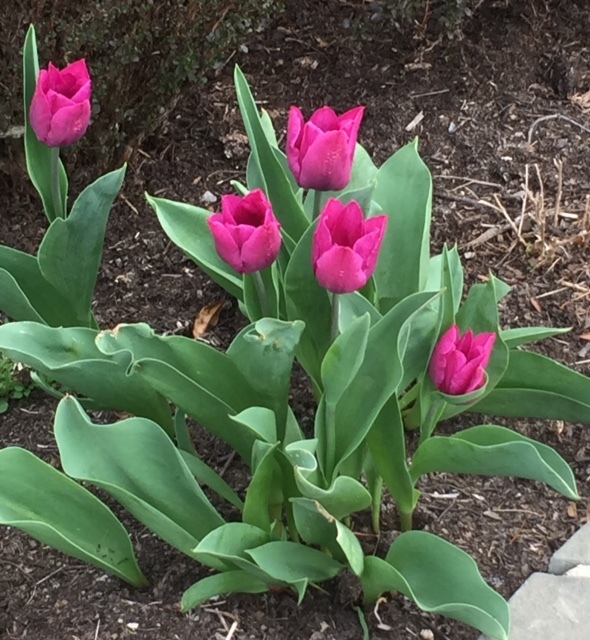 Although the first day of spring happened over a month ago, the month of May makes it FEEL like spring is finally underway and summer near. And everyone knows springtime is synonymous with…baby animals! RULA: You though I was going to say pollen, right? Maybe cute baby animals are nature’s way of making us forget that spring triggers allergies lol. Catherine is a little further north than I am, but here in the northern mid-Atlantic region, we can finally transplant our veggie seedlings in the garden without fear of frost and Chick Days are still underway in local farm supply stores. Baby animals of all kinds seem to sprout up everywhere! There’s a sheep farm I pass every day and, good heavens, those baby lambs are ADORABLE! I’m dying to pick one up and cuddle it. What is it about baby animals that we can’t resist? A 2015 article in Scientific American talked about a study that showed oxytocin levels spiking when a dog/puppy and its human gaze into each other’s eyes. Oxytocin for those who haven’t heard of it, is the same hormone that triggers milk production when mom’s nurse their babies. In fact, time with a pet can raise endorphin and dopamine levels too. There was even a Japanese study conducted in 2012 that indicated looking at baby animals (or pics) can improve our concentration abilities. So many studies out there confirm that cute babies are good for us. All those feel good chemicals! No wonder we’re drawn to adorable baby animals! So perhaps this is why every time I start writing a new book, I end up with a new pet(s). I had convinced myself that it was my love of animals and a way of rewarding myself, but maybe I crave new pets because I know they’ll reduce my stress levels (not the poop cleaning…but everything else about them does lol). Some people buy shoes or grab a tub of chocolate ice cream. I add to my menagerie. And hey, if they help me concentrate, maybe they’re the key to better plotting lol. 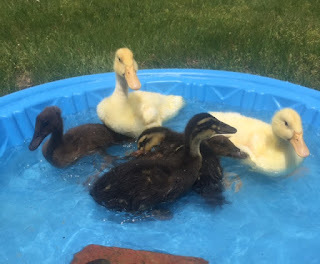 Let’s see…ever since my first book in my ‘From Kenya, with Love’ series, The Promise of Rain, I’ve added puppies, kittens, chicks, fostered baby elephants (sorry, no room in my yard;), more chicks and kittens and now…ducklings. Yep, adorable ducklings. I couldn't resist sharing pics of my babies this spring! Just look at the eye contact these babes make. They know how to get to mommy ;). First swim! 2 weeks old. Drying off in the sun. Look closely at the Khaki in the back. She's crested! She has a little pom pom on her head. And I also got some Jersey Giant and Welsummer chicks to add to my flock. I've never had these breeds but I read an article somewhere that rated the Welsummer as the breed most likely to survive a zombie apocalypse, so of course I had to get some lol. One of Rula's day old Jersey Giants...biggest chicken breed. Is that too much cute? I’ve even managed to slip my beloved critters into my books. Even chickens have made appearances! Now, since my stories are set in Kenya’s Serengeti and include elephant and wildlife rescue, it’s no surprise that I have baby animals in my stories, like Bakhari, a baby elephant rescued by poachers, or Ambosi, a cheeky vervet monkey, both in the first book in the series. Readers get to watch them both grow up through the series. In fact, they’ll be getting a chance to see the animals as well as the kids from the first three books grow up! You heard right. My next book, Every Serengeti Sunrise (they kept my working title, yay! 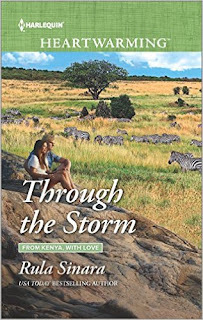 ), releases in December and is the first of three more ‘From Kenya, with Love’ books that will feature the kids from the first three books all grown up and in search of their happily ever afters. And as always, there will be elephants. Some of you know that last year I fostered a baby elephant named Quanza through the David Sheldrick Wildlife Trust. Well, this year, I renewed my fostering, plus 'adopted' another baby named Malima because I couldn't resist after reading her story. For amazing photos of baby elephants and rescue stories (or even to foster), you can check out their website. One of these days, I’ll have a duckling in a book lol. Oh, and since no one can get enough baby animal love, here’s more from Catherine…who also has a December release (yay, release buddies!) titled His Baby Dilemma…and several more before then too, because she’s amazing and I can’t write that fast! Catherine, I always think of horses/ponies and Beau when I think of your ‘Shores of Indian Lake’ series. CATHERINE: Like you, Rula, I can’t imagine my life without animals in it and baby animals simply shout spring to me. From the baby Robins that are just about to hatch in the nest above my back door, to the baby rabbits in the backyard, I’m cherishing the coming of the new life. Granted, I don’t have as many animals as you have, but I do have my moments. 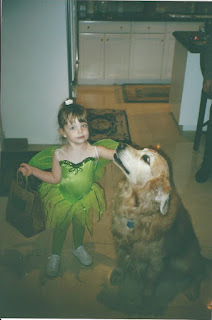 For all of you who have read my Shores of Indian Lake books, you’ll know that the big, gorgeous Golden Retriever, Beau, is nearly the main character in Love Shadows, which was the first book in the series. When Beau, his real name was Beauregard, was six or seven, we acquired six week old, Bebe, a champagne Golden to grow up with Beau and to someday become the mother of his babies. As you can see from the picture, we succeeded, but it was a long drawn-out process. The problem was that Bebe was fat and couldn’t conceive. We had to have her artificially inseminated. Gloriously, we had nine babies. Eight survived and grew into the most handsome of families. I couldn’t resist sharing my photo of my Granddaughter, Caylin, when she was three years old with Beau. RULA: Oh, gosh, those are adorable puppy pics! I can feel my endorphins skyrocketing! And the pups remind me of your book Miracles are Golden. Now what about horses? You write them so well, you must have had some too. 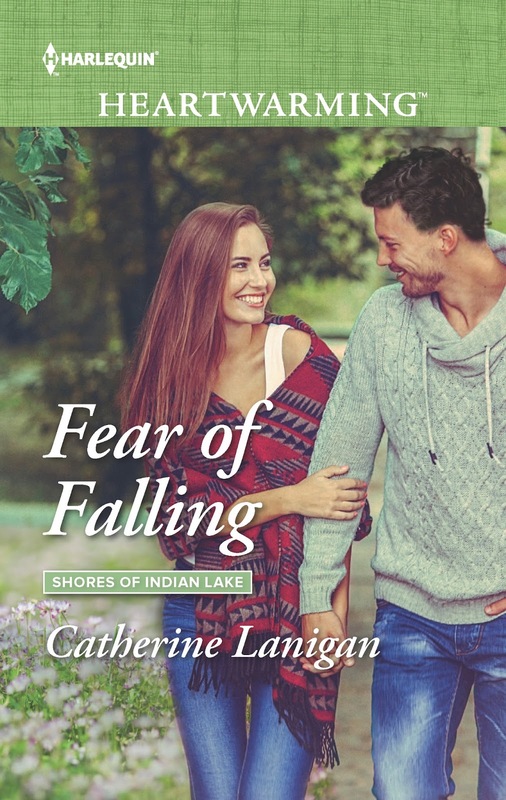 CATHERINE: In Fear of Falling, Thoroughbred horses nearly stole the show. I get chills just thinking about lanky spring foals and their mothers running over velvety green grass. Though I’ve never owned a colt, I have owned horses and Rowan in my book was patterned after our horse, Redman, who passed away two years ago. Each first Saturday in May is the Kentucky Derby and I do not let the day pass without hosting a quite boisterous Derby Day party for my friends complete with betting on their favorite horses and my mother’s special Mint Julep recipe. I grow the mint in my garden. It’s only got a few more days to kick the growing into high gear! RULA: Wow! No one leaves that party hungry! What about all of you? Any favorite pets or baby animals you’ve raised or rescued? Do you like it when animals play a role in stories? What about covers? Are you drawn to those featuring horses, dogs or other animals…or even human babies? If you love finding kids and animals in stories, then don't forget to check out Catherine's April release, Protecting the Single Mom, and her upcoming July release, Family of His Own. 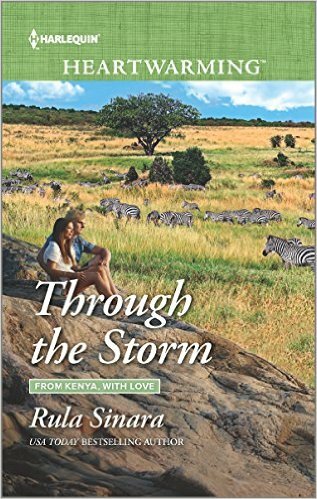 His Baby Dilemma releases in Dec, along with Rula's next book in her 'From Kenya, With Love' series, Every Serengeti Sunrise. HAPPY MONTH OF MAY TO ALL! Thank you for the endorphin rush, Catherine and Rula!! I love your post and especially the pictures. There is a horse farm not too far from where we leave. I enjoy driving by this time of the year and seeing all the sweet foals with their long, gangly legs. As for your questions, anyone who knows me would know my answers are yes, yes, yes and yes! Not only are you both master story tellers, you do such a fantastic job bringing your animal characters to life! Beau, Rowan, Bakhari and Ambosi are definitely among my all-time favorite animal characters. Best wishes with all your upcoming releases! Kate, now I'm really envious of seeing those foals. What a joy that has to be! 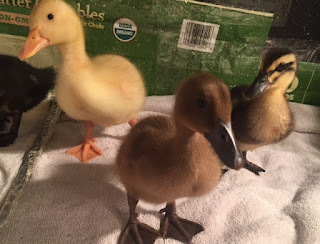 I'm still in awe of Rula's little ducklings. What a treat to be the Mommy to them! And thanks for the compliments about our animal "families". Your posts on Facebook with Harley and Logan are always smile-makers! Give them a hug from me! Thanks, Kate! Aw, foals with gangly legs are adorable!! And I have to agree with Catherine on your puppy posts as well as your brave dog characters in your books. Always wonderful. I love the pictures, ladies! I am so tired of cold and windy (right, Catherine? 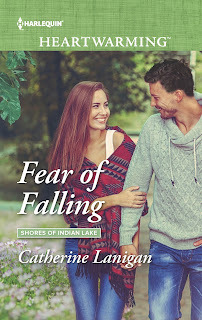 ), it's wonderful to see some spring on the Heartwarming blog and I'm so pleased--squealing here--I get to be release buddies with you both in December. YAY for December, Liz! I have to get you up here to do the radio shows with me! What fun we can have. And right now, believe me, it feels and looks like December!! GRRRRR. Liz, yes! You and I believe Beth share December! So excited to be release sisters with all of you. Glad you enjoyed our dose of spring :). You're so right, baby animals are the best! There's a reason why dog therapy is becoming more and more popular and prevalent. 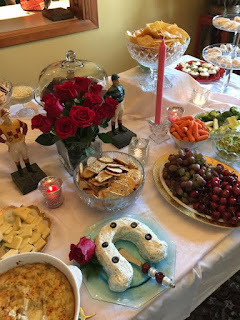 I loved all the pics, Rula and Catherine, what a mouth-watering Derby buffet! Good luck with all those impressive releases! An uplifting post after a long day of torrential rains here in s.w. Ontario! Rain and more rain here as well, Janice. Last night I was making tid bits for the party on Saturday...but this cold weather is really stunting the growth of my MINT! We had storms here yesterday, Janice, but today is all sunny...at least for now. I do see clouds over the hill. But then if those Aprils showers don't want to end, I guess we'll just end up with more May flowers ;)! Aw...I loved this post, ladies. There's nothing better than fuzzy chicks and cuddly puppies. Great photos! You are so right. I could make a poster of those duckies! Thanks, Jill! Baby animals are definitely bundles of joy. I just died of cuteness. Thanks for sharing, Rula and Catherine!!!! 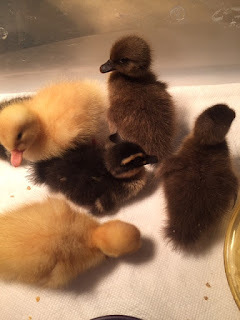 Aw, the ducklings and chicks melt my heart every day :)! What's extra cute about having ducklings is that they imprint, so they really do think I'm their mommy. I've seen videos where ducklings have imprinted on the family dog or other pets and they don't stop following them around. Extra cute! One of these days, I have to travel to Kenya to visit the baby elephants at the DSWT. That would a dream come true! Oh and I have to add that I've been looking at gosling pics lol. Next book? Can I blame book contracts for all these pets lol? When I signed the contract for six more books, the first thing my boys asked was what pets did I have planned for each book. My husband looked horrified lol ;). Okay, so if elephants imprint, does that mean one will follow you home? Jeepers! Ha ha! That would be a problem ;). Glad you got your dose of warm fuzzies, Carol! Lol about your dog. 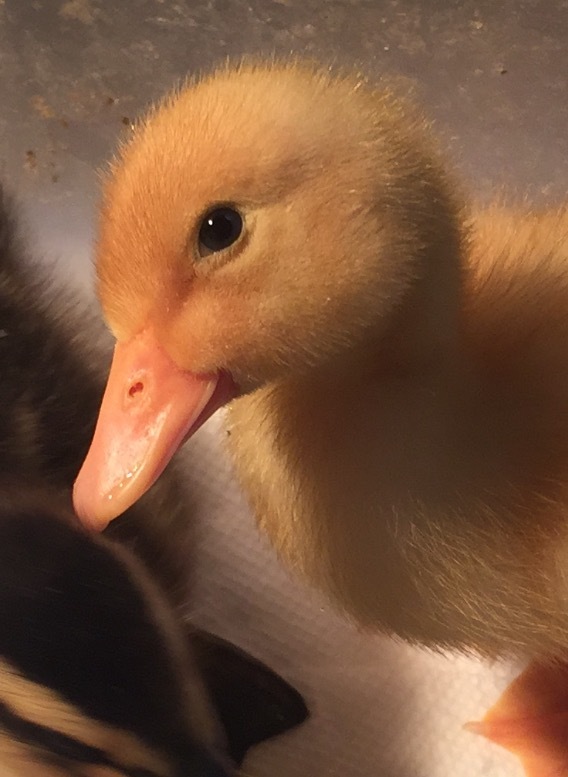 Ducklings do take time to care for but they're such happy little one...they always look like they're smiling :). It's like having a human baby...all the diaper changes and lack of sleep are forgotten and forgiven when you're sucked in by their cuteness and that special baby smell. Okay, I'll admit though that that special smell with ducklings is quite poopy and not so special lol. They make up for it ;). I'm with you, Victoria. Let's go visit! Come on over! :) I warn you though, if you sit there with a fuzzy, trusting duckling snuggled in your lap, you'll never be the same. This is a real Make Way for Ducklings, well, sort of. Lovely post. All I have to do is think the word Serengeti and I have to fight off the urge to pack my bags. We really aren't on this planet alone, and these images and your books remind us of that. Glad you enjoyed the post, Virginia! I fight the urge to pack up and visit the Serengeti every time I write lol :). And congrats on your upcoming debut release with Heartwarming in June!! If any of you go to the Serengeti, I'm in! Wonderful post, Rula and Catherine! There is so much cuteness on your blog post - you've made my day. Rula - those baby ducks are too precious. I love having my four-legged crew with me ... my dog sleeps in my office while I write. We have one snobbish cat, but even she can be sweet on occasion. My other cat loves to sleep on my lap - she'll push the laptop off my lap to sit down. LOL, Cari, my crew has distinctive personalities too (just like my human kids ;). I have 2 dogs...a practical joker and a stubborn yet loyal one...3 cats...the independent, the lap cuddler catpot I mean catnip addict, and the I'm really a dog one. I can't even begin to describe all the personalities in my chicken flock and these ducklings are so much like puppies in theirs. My Lucy is now a year and a half and in about two months we're going to introduce her to a male. Lucy's a German husky. I'm thinking to breed her with a lab, or golden, or maybe even a shepherd mix. My 12 year old will definition have endorphin overload :) I had to promise hubby that we wouldn't keep one. He's firm that one dog and one cat are all we need. The cat, however, says that one cat is all we need. The dog says she needs more dogs to play with. I have social dog. Pam, you always make me laugh! My Beau was monogamous. 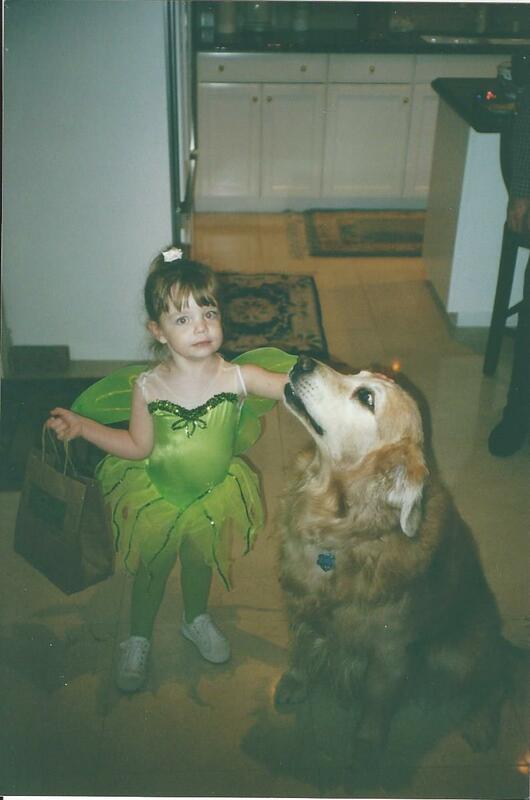 We tried to breed him with another Golden..she was pretty, but she wasn't his "wife" Bebe. So, we went for the artificial route which brought us all the babies! Pam, that makes her almost 16 in dog years...I suppose she's old enough to date lol ;). Love the post with all of the animals and upcoming book release information. Rula, I've enjoyed all 3 of your From Kenya, With Love books. 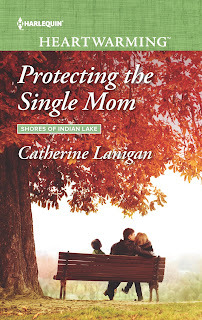 And Catherine, I just finished Sophie's Path and will be posting a review on that wonderful book. I'm even going to do a giveaway on my blog so that someone else can get the chance to enjoy it too, since I had an extra copy. 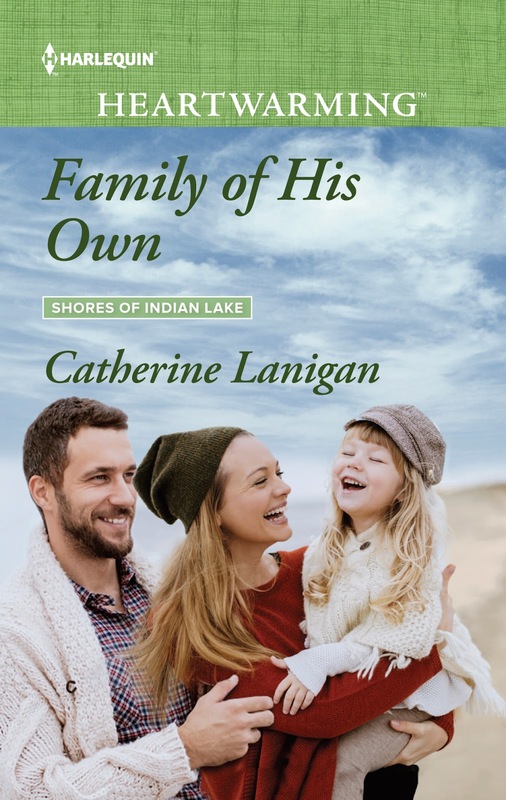 I'm hoping to catch up on some of the other books in your Indian Lakes series. You're both so inspiring and fascinating. You do so much. Thank you for all you do to bring joy to readers. Laurie, you are the sweetest ever! Thank you and I so agree with you, Rula's writing is divine. I can't wait to get back to Africa with her characters and hopefully...a baby elephant! Laurie, you're so wonderful! Thank you for loving Heartwarming and for all the honest reviews you take the time to do of, not only books in our line, but others as well. You also bring joy to readers by introducing them to stories they might enjoy. Your love of reading and books is inspiring. And thank you both for the lovely comments :). I'll ditto them for Catherine's writing and Laurie's reviews! Loved your post Catherine and Rula. Animals make my world go round too. Absolutely agree, Eleanor! And thanks :). Ditto, concur, agreed. Life would be so wanting without them. Adorable animals everywhere! Love it. Love you two! We love you back, Amy! Oh my goodness! SO precious! Thank you for the big dose of adorableness today! I love all these babies. We just got home from a road trip and saw lots of baby calves, lambs, and foals along the way. Almost as cute as those ducklings and puppies. Aw, I know how you feel. Whenever I pass baby sheep on the farm nearby it takes everything in me not to stop...or adopt one for myself lol!